Three of our employees went to Miami this past month, including myself. The area I enjoyed the most was Wynwood. Everywhere you look in Wynwood there is art. The walls, the facades, sidewalks, telephone poles… all covered in art. There was so much energy and imagination everywhere! We thought it would make a perfect topic for our first “Walking Tour” blog. “Wynwood is a neighborhood in Miami, Florida, United States. Wynwood overflows with vibrant artwork, restaurants, breweries, clothing stores, dance and club venues, among other retail options. Formerly an industrial district, the area is highlighted by colorful murals that cover the walls of many of the buildings. It is north of Downtown Miami and Overtown, and adjacent to Edgewater. The Wynwood Art District is one of the most popular sites to visit in the heart of Miami, Florida. 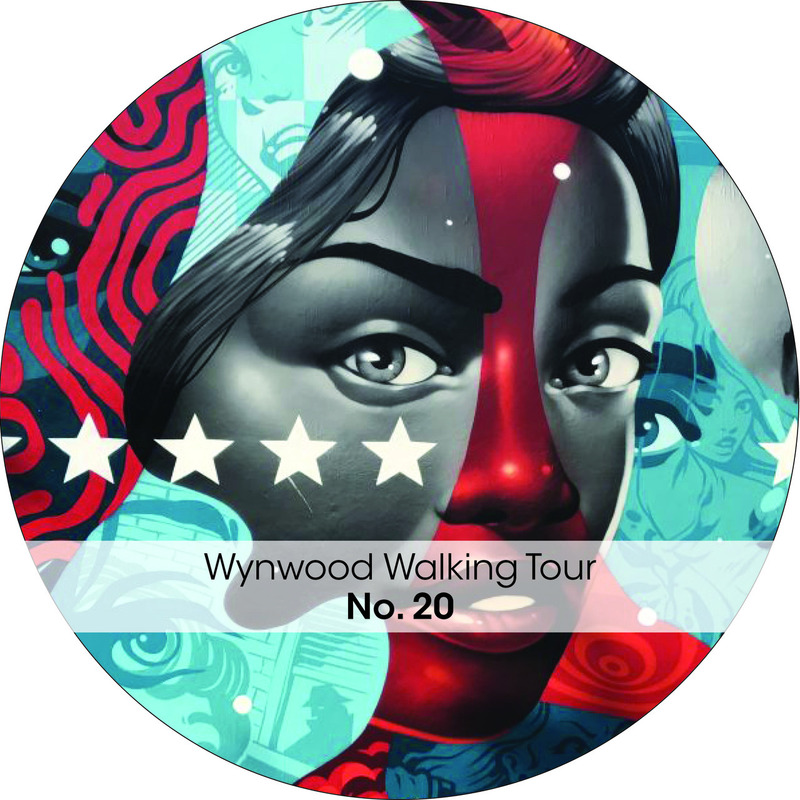 Wynwood has two major sub-districts, the Wynwood Art District in northern Wynwood, and the Wynwood Fashion District along West 5th Avenue. Here is an example of a typical Wynwood building, where the entire facade is a mural. The Wynwood Marketplace is a place to shop locally curated vendors, eat from food trucks, and dance at live shows. The highlight of Wynwood was seeing the Wynwood Walls. Dozens of huge beautiful murals line the center of a block. With a cafe, and two indoor galleries, the Wynwood Walls offers hours of starry-eyed gazing. “The Wynwood Walls was conceived by the renowned community revitalizer and placemaker, the late Tony Goldman in 2009. He was looking for something big to transform the warehouse district of Wynwood, and he arrived at a simple idea: “Wynwood’s large stock of warehouse buildings, all with no windows, would be my giant canvases to bring to them the greatest street art ever seen in one place.” Starting with the 25th–26th Street complex of six separate buildings, his goal was to create a center where people could gravitate to and explore, and to develop the area’s pedestrian potential. Another cool place was the Wynwood Yard, and outdoor event space equipped with a stage, food trucks, gardens, and shipping container dining areas. Here’s a few more snapshots of the Wynwood neighborhood. And finally, I ended my Wynwood experience by watching the 2018 Oscar nominees for short animated films at the O Cinema.